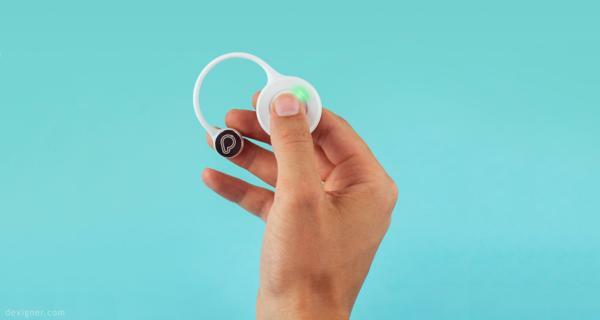 Monday March 4th, 2019 - Meant to help prevent wandering by those with dementia, the Dementia Wandering Prevention Device, called "Proximity", is now available for direct purchase at DementiaSafety.co.nz. Proximity is a simple and stylish device used to help prevent wandering by people who have dementia. Proven to help with dementia care, Proximity is now beginning to become popular within the Autism community. For those who care for people with dementia, Alzheimer's, or autism, Proximity acts as a warning device, or a proximity alarm, alarming the carer when the person they're caring for wanders too far from them. Proximity is a button that is worn by the person who is being cared for. The button emits a bluetooth signal, which then connects to the Proximity app, on the phone of the carer. The button is not a tracking device, as the goal is to prevent wandering, before tracking becomes necessary. Instead, Proximity is an alarm that is alerted on the carer's phone if the button, and the person wearing it, moves too far from the phone. Wandering prevention is made easy by use of the Proximity button. Though Proximity was born from the creator's desire to help her mother care for people with dementia, Natalie Price realized her creation "could actually be used by a lot of vulnerable people in our society". Following the success within the community of carers for people with dementia, one father wrote to Natalie, saying he had bought Proximity to help with his son's wandering. His son has autism, not dementia. After doing research, Natalie concluded "wandering by children with autism is common, dangerous, and puts tremendous stress on families", but with the help of Proximity, there doesn't have to be any danger or stress caused by wandering. Proximity was created out of a desire to help the creator's mother have peace of mind while working as a carer for people who have dementia. Though originally meant to assist with dementia, Proximity is now being seen as a button that can help carers prevent wandering caused by any condition. Whether you're caring for someone with dementia, Alzheimer's disease, or autism, Proximity is the only device that can safely keep the person you're caring for within a safe distance.